Next month SoHo belatedly will premiere the acclaimed Agatha Christie dramatisation Ordeal by Innocence (9.30 Mondays from March 20). The BBC aired the three-part mystery nearly a year ago and it’s been on Amazon’s US platform since August. Given Sky now has two SoHo channels, it’s inexcusable that series of this calibre should take so long to land here simply because it serves the satcaster’s scheduling convenience. The Telegraph hailed it as “masterful“, Radio Times dubbed it a “gripping … on-screen version of a page-turner” and the Wall Street Journal thought it “richly rewarding, unfailingly suspenseful”. 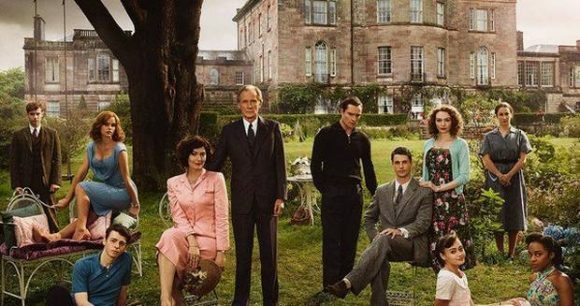 About the wrongful imprisonment of a delinquent for the murder of his adopted mother, a wealthy philanthropist, it stars Bill Nighy, Anthony Boyle, Anna Chancellor, Matthew Goode, Alice Eve, Eleanor Tomlinson and Luke Treadway. Also new will be Billions S4 (8.30 Tuesdays from March 19) and Knightfall S2 (9.30 Sundays from March 31). Sky will also try to milk more from Game of Thrones ahead of its final season premiere in April by repeating the “best episodes”, as voted for by viewers on Sky’s Instagram and Facebook accounts (8.30 Mondays from March 4). Back for Box Set Saturdays will be Knightfall (S1), True Detective (S3), Billions (S3), Shameless (S9b) and A Million Little Things.